We are very proud to have locally based team of investment professionals in the Isle of Man which is not only one of the world’s leading international business centres but also has an unrivalled reputation for outdoor adventure, heritage and culture. This reputation is headlined by the world renowned TT races; is the birthplace and home of the four times Tour de France victor Mark Cavendish and the birthplace of the national lifeboat service the RNLI. The island is highly regarded, well-regulated and is well-established as having an international reputation for leadership on global issues, innovation and diversity. The Isle of Man continues to build on its existing reputation and prepare for a world where retail and sophisticated investors can place their money with confidence, with experts they can trust and in an environment which meets their needs. Since establishing an office on the island in 2013, our award winning Isle of Man-based team has quickly established WHIreland International Wealth as a premier provider of investment services in the Isle of Man and internationally. This was recognised in 2016 when the team were named ‘Best International Clients Team’ at the Wealth Adviser Awards 2016 and in 2017, was shortlisted for Investment Management Company of the Year – Isle of Man at the Citywealth IFC (International Finance Centre) 2018 Awards. Our international investment management services will have particular appeal to clients and professional advisers who are looking for international equity exposure; as well as UK resident non-domiciled individuals and expatriates living outside the UK. For more information, please choose from the services on the right of this page. 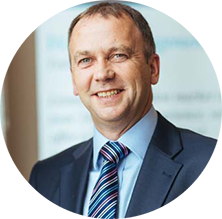 Our Isle of Man-based team are led by Will Corrin who is Managing Director of WHIreland International Wealth. Will is Manx-born and educated and as well as leading the Isle of Man team also has the demanding task of farming around 120 acres of land in the south of the island which is predominantly beef-rearing. Will is supported by David Bushe who is Head of Investments for WHIreland International Wealth, Chris Bell Senior Investment Manager and Lee Branston Assistant Portfolio Manager. 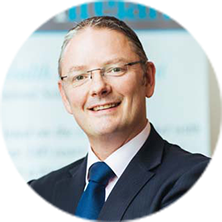 Will has been Managing Director of WHIreland International Wealth since July 2014, having previously been tasked with establishing the Isle of Man licenced operation for WHIreland Group in 2013. 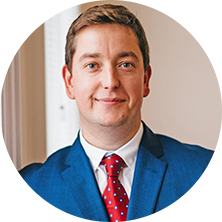 Manx born and educated, Will has extensive experience in investment management, banking and fiduciary operations, and has worked with some of the biggest names in the Isle of Man’s financial sector. He is a member of a number of Group oversight committees, including Compliance and Risk, and holds a senior management role within WHIreland’s operations division. Will is an Associate Member of the Chartered Institute for Securities and Investment. David’s career in financial services has taken him from private banking through portfolio management to institutional asset management - and from the Isle of Man to Jersey, South Africa, Barbados and back again. A Chartered Fellow of the Chartered Institute for Securities and Investment, and a Chartered Wealth Manager, David is responsible for the management of WHIreland International Wealth’s institutional and private client assets. He is also a key member of the Group’s Asset Allocation Committee. Chris joined WHIreland International Wealth in 2017, bringing over 20 years of experience in investment management and a strong understanding of the needs of both institutional and private clients. Originally from Leicester, Chris gained a BA (Hons) in Commerce at Birmingham University and holds a Chartered Financial Analyst Associate professional qualification. He relocated from the UK to the Isle of Man in 2001. Lee is responsible for managing client portfolios. He has worked in the finance sector since 2007 and has specialist experience in administrating large hedge funds and client reporting, as well as portfolio management. 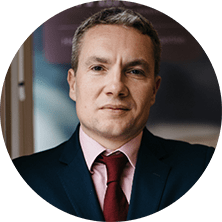 A Chartered Member of the Chartered Institute for Securities & Investment (CISI), Lee holds the Private Client Investment Advice & Management (PCIAM) certificate, the CISI Investment Advice Diploma and the CISI Investment Administration Qualification. Before joining the finance industry he enjoyed five years working as a topographical surveyor and CAD technician.